brought to light the original Tusk with new modern twists. Made from all highly rust resistant materials the Tusk features a blade made from LC 200 N and full titanium scales including a Reeve Integral Lock. The 300-series stainless steel marlinspike has round-to-square cross section to loosen knots efficiently with a high strength Ball Bearing Lock TM made with a ceramic ball bearing. The marlinspike includes one small sized shackle key in the marlinspike and another lager shackle key created when the marlinspike is closed. Both can effectively manage many different sized and types of shackles. Reversible Clip carry and lanyard hole give a variety of carry options. 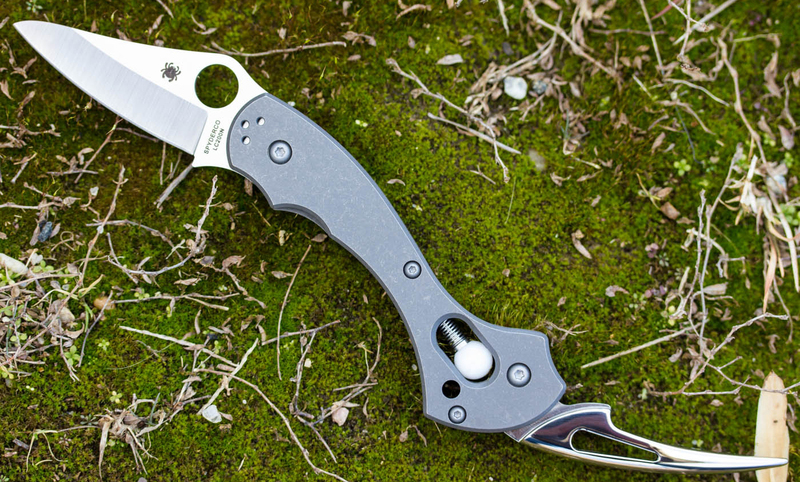 Thankfully, echnology caught up with Spyderco’s early vision and the Tusk’s time is now. Im an avid angler with failing sight and increasing arthritis . The two most useful tools for everyday use is a knife and a marlin spike. This Spyderco Tusk is extremely well built. The Marlin Spike has helped me in frustrating situations by either undoing tiny fishing knots to untying large anchor rope or tie down lines from hauling items in truck or utility trailers. 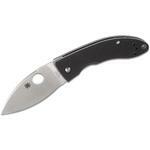 I love this knife because of the strong durable material and the blade is awesome. The size would be perfect except for the width. It takes up the pocket opening space making it difficult to get keys, phone etc in pocket without scraping your hand.. other than that for me its the perfect knife.. I am an avid sailor on small craft, so I find this tool very useful. The Marlinspike is the best I've ever worked with. 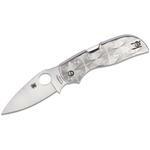 The small blade is impervious to saltwater corrosion, yet very sharp. It appears small, but it really is all I can imagine as a companion to the Marlinspike. The engineering and design of this pocket knife are the best I have owned. 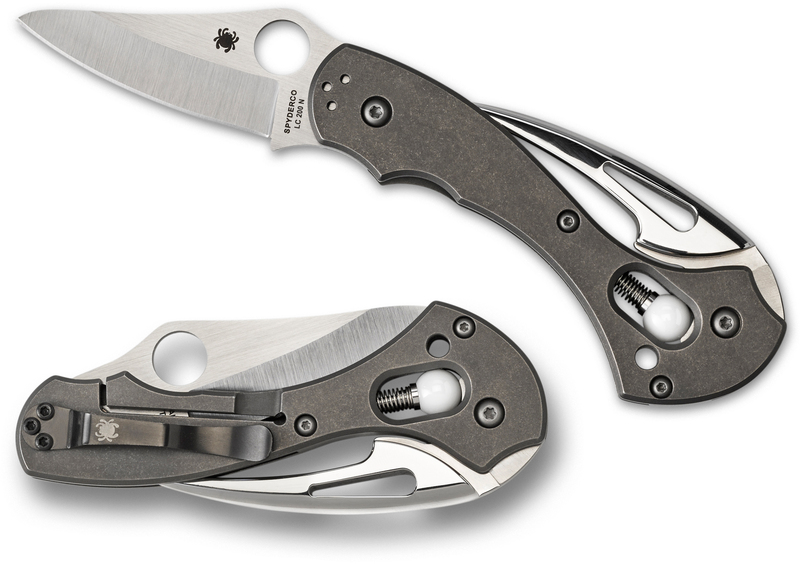 The blade borrows from the Chris Reeve liner lock but is better finished. The ball bearing lock is a modern marvel. The price may cause pause, but once you get this in your hand, use, and examine it, you'll know you have a bargain. There are not any flaws in this knife in terms of quality, design, and utility. Easy to open/close, the material its hard the handle its ergonomic, the spike opened its good for take the knife stronger. Great design. 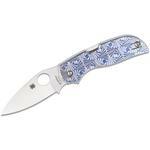 Hey, I wanted to share "Spyderco Tusk Marlin Spike Folding Knife 2.38 inch LC 200 N Plain Blade, Titanium Handles" with you from KnifeCenter.